The Hero’s Guide will cover the core pillars of a successful video marketing strategy, from strategic planning to content development and distribution. 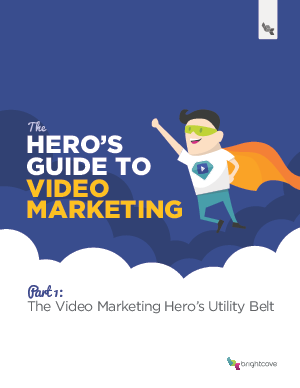 In the first chapter, we take a look at how organizations like yours can use video as a part of your marketing efforts to better connect with your audience, including the “gadgets” that you can take advantage of in your Video Marketing Hero’s Utility Belt. So get ready, it’s time to supercharge your content marketing and drive better results!